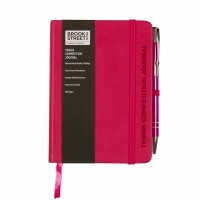 Tennis Competition Journals. Take control of your fitness regime. Record your body stats and score your fitness development. To complete the package record your daily food intake and your calorie count.